At the ballpark, three strikes and you’re out. 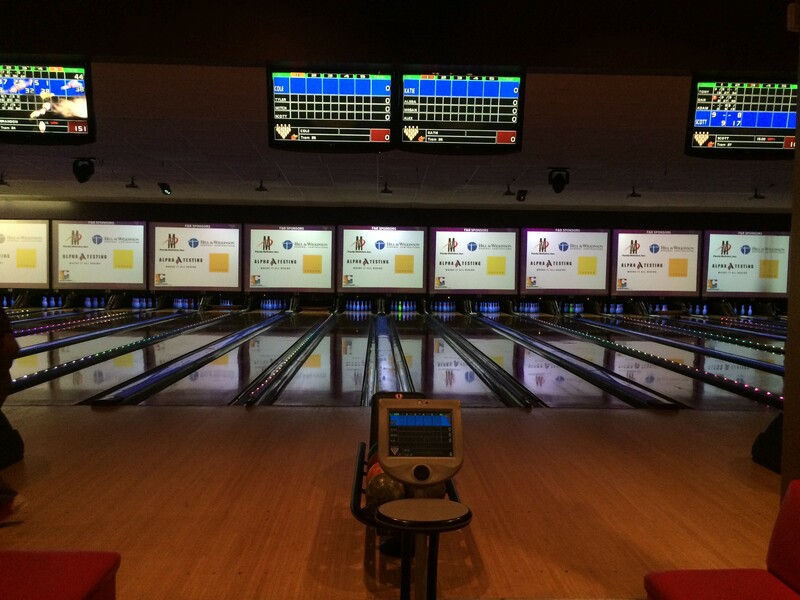 At the 2015 ACE Bowling Tournament, getting three strikes means you are probably beating your opponent! Alpha was a food & beverage sponsor (pizza and soda) at the tournament on Tuesday evening. The annual event benefits the ACE Mentor Program, which was featured in an article in the August 24/31 edition of ENR magazine. The program was created for high school students; bringing awareness and building bridges to career opportunities in architecture, construction, and engineering – aka an endless array of possibilities. Time to start training for next year!